Long before she became a district constable in November 2002, Lora Lee had been mulling possible ways to put her patriotism on display. Lee’s professionalism at Shady Grove Police Station in Lluidas Vale, St Catherine, has not gone unnoticed. 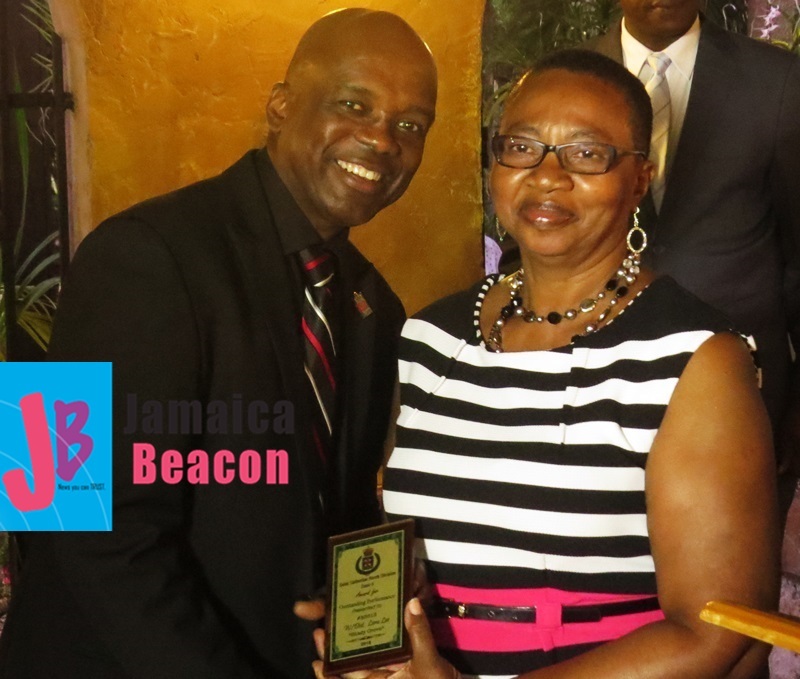 She was among law enforcers awarded for ‘outstanding performance’ when the St Catherine North Police Division (Zone Four) hosted its awards ceremony on Wednesday, December 5, at Becca’s Estate in Point Hill. Lee, in the photo above, is shown collecting her award from guest speaker at the ceremony Dr Orville Taylor. 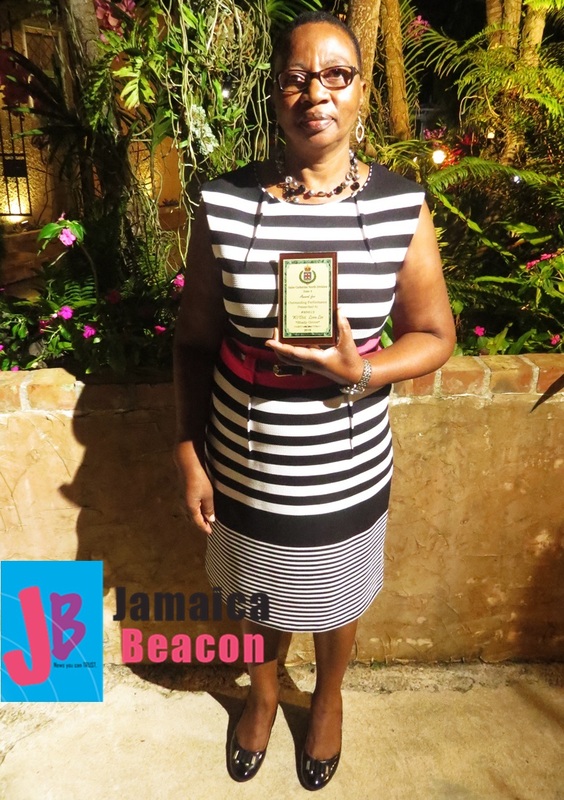 Lee, who previously was a housekeeper, said she was unemployed at the time she decided to join the Jamaica Constabulary Force. The mother of four, who was born and raised in Tydixon, which is located in the Lluidas Vale police area, wants to inspire other women to join the police force and become district constables. Lee, who stated that she was not yet 10 years old when her mother Clementina Edwards died, is a past-student of Tydixon All Age School. She recalled not being able to attend secondary school because she had to assist her father, Earnest Lee, in caring for her siblings. Lee noted that she eventually enrolled in evening classes to further her education, which has enabled her to make a more meaningful contribution to her community. “I would like to be remembered as somebody who played an important role in my community by helping others,” she declared. Lee has been living in Lluidas Vale for about four decades.